Now reading: THE VOLTA FAST CHARGE: A Revolutionary Improvement! THE VOLTA FAST CHARGE: A Revolutionary Improvement! When it comes to getting a USB data and charging cable, a million and one questions pops into the head that can influence your buying decision. The first thought however is, How fast is it going to charge my device? Well, to start with, most charging cables in the market are made with inferior materials and sold cheap but besides the fact that USB cables are relatively easy to find these days, USB has a really robust, well-defined charging standard called the USB Power Delivery Specification. The USB Implementers Forum specifies four flavors in total, one for each corresponding USB specification: USB 1.0, 2.0, 3.0, and 3.1. A typical USB 1.0 and 2.0 plug can deliver up to 5V/0.5A (2.5W). 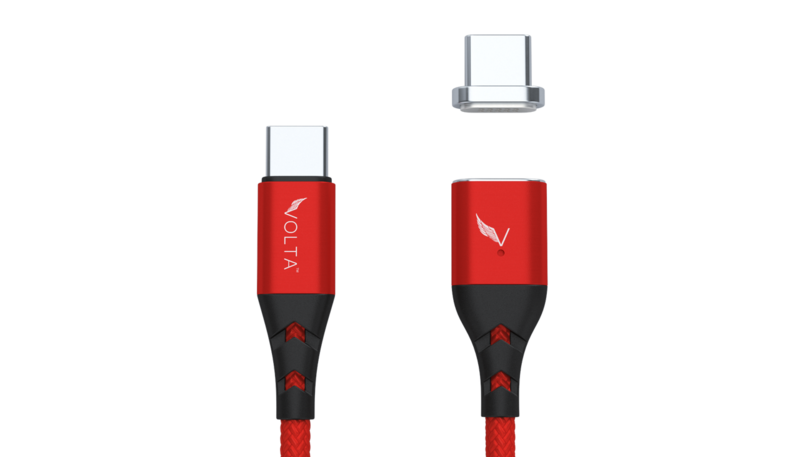 The Volta magnetic Cable possesses the Quick Charge technology. You may ask, what is Quick Charge? Well, Quick Charge is a technology found in Qualcomm Snapdragon systems-on-chip, used in devices such as smartphones and computers, for managing power delivered over USB. It offers more power and thus charges batteries in devices faster than standard USB rates allow. Quick Charge is Qualcomm standard, Fast Charge from Sony, Dash Charge from OnePlus, Apple uses the term Fast Charge as well and Google uses Rapid Charge sometimes for their Pixel lines. It's amped at >2A and volts >5V. Quick charge 3.0, for example, negotiate between the device and charger to get an optimal charging speed without overheating the battery. In lay man’s terms, If you don't have a proper QC3.0 cable or charger, you can destroy your device. You can also damage your device by overcharging with QC or others, because it heats up the battery, and batteries don't like heat. In addition, most modern chargers that are not quick charge are 5V 1.5A. NOTE: QC 3.0 cables only charge when facing up. In other words, the Volta Cable is going to charge your device 5 times faster without harming your phone’s battery. We are aware that the Fast & Quick charge only works with the LED facing the same direction as the device screen. We manufactured the QC3.0 cables with this measure or limitation in order to protect some micro USB devices that require "Slow Charging". We must always protect the interests of customers' devices. I bought 2 volta chargers (1 as a gift) and I have tried both, and alternated tips, neither of them work with my Samsung s7-disappointed as these were expensive cables.